LinkedIn has signed an agreement to acquire Glint, an employee-engagement platform that aims to deliver insights to improve employee satisfaction, happiness, and performance. Terms were undisclosed, but CNBC is reporting that the deal was in the $400 million ballpark. Assuming those numbers are legit, the deal represents the second-biggest acquisition in the company’s history. Only Lynda, which LinkedIn paid $1.5 billion to buy in 2015, is bigger. At the time, LinkedIn was still an independent company, so Glint does represent the largest acquisition since Microsoft dropped $26.2 billion for the business networking site. Interestingly, LinkedIn was already a Glint client, so it had some hands-on insight into the company’s feature set. Other Glint clients include the likes of United, Intuit, and United Airlines. Redwood City, California-based Glint had previously raised $80 million since launching in 2013. 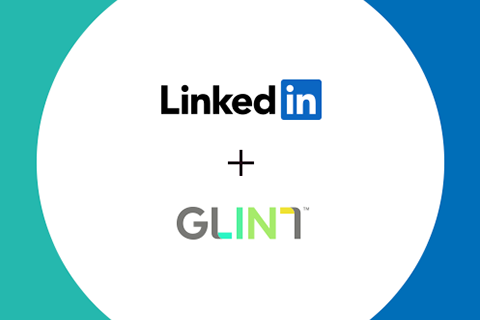 Indeed, Glint’s offering does fit nicely into LinkedIn Talent Insights and how LinkedIn hopes to own the entire talent management process in conjunction with Microsoft’s hold on business software. Most notably might be how LinkedIn helps employers manage their employment brand by providing them analytics on engagement. Here employers can see how talent is engaging with their brand on LinkedIn. It’s based on how many updates prospects have clicked on, how many times they’ve visited a company page, if they’ve followed your company, and how many jobs they’ve viewed. I expect Glint data to provide complimentary data from an internal perspective. The move also highlights the fact that LinkedIn continues to push the envelope, similar to Google and Facebook in the employment space. Throwing cash around to bring in new resources is a nice touch as well, and it’ll be interesting to see how all this fits into Microsoft’s recent acquisition of tech talent platform Github.